Rated 5 out of 5 by kim0530 from Excellent Game True, this famous tale was done so many different ways. Now it's in game form and I love the way Elephant did it. There's two different Scrooge's the good and the bad and in all honesty, we all have two sides and depending on how we choose our life is where we are at this point of time. That's what the story was all about. Scrooge at the present was miserable man and we need to change the past for change Scrooge present. The past had bad Scrooge destroyed the engagement ring that Scrooge was supposed to give to Belle in turn made the present Scrooge miserable. By changing the past and replacing the ring for a better ring, Scrooge's present was changed. He did married Belle and was happy but what happened was the bad Scrooge destroyed the letter that Scrooge was suppose to help Tiny Tim. If not, Scrooge will still be miserable. But in the end, he did help get the medicine for Tiny Tim but for Scrooge to totally be happy, we need the sand of time to finish everything. In the end, good won and Scrooge and everyone had a very Merry Christmas. A very well thought out game on a Dickens' Classic. The music was excellent and I had tears when they sung Silent Night. Graphics is excellent and the bonus was well though off and love when Santa Cat snoring and almost missed Christmas. This along with the Nut Cracker will be a Christmas game every year that I'll play. Rated 5 out of 5 by Charleen from A new twist on a Christmas Carol! I love a Christmas Carol in any form. This is one of the best Christmas games or actually any game (and I have many!!) that I have played in a very long time. 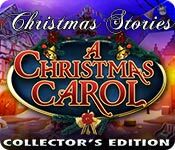 If you love a Christmas Carol (and even if you don't) you can't go wrong with this Collectors Edition. It even has a game within a game! After you have completed the Christmas Carol it has this awesome game that contains a game with Sherlock Cat! Thank you Big Fish and have a Merry Christmas!! Rated 5 out of 5 by maximus2rome from Great Game I normally don't rate games, but i should start doing it. I played this game when it first came out and not just me, but my kids loved it too and I'm playing it again and this is a greeeaaaattttt game. Rated 5 out of 5 by Mrs_Kim from Expect nothing less from Elephant Games! 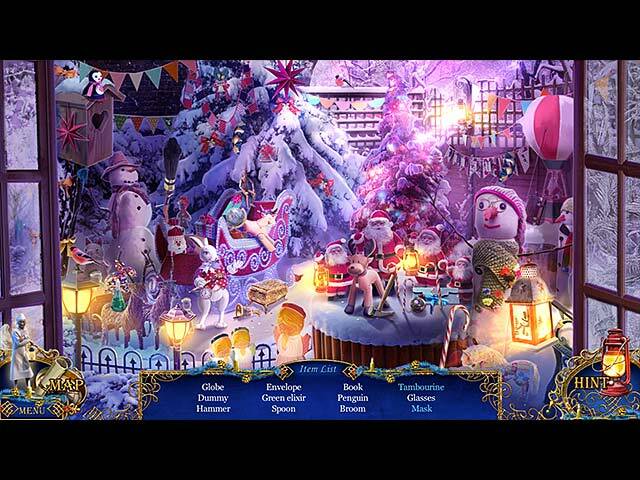 - another top notch Christmas game A HOG game, second in the series of Christmas Stories by Elephant Games. ------------------------------------------------------------------------------------------------- If you have ever played the first in the series (The Nutcracker) then you will expect nothing less of this one. A Christmas Carol story with a twist, this will make your Christmas holidays the merrier. As always, the awesome graphic design and music that fit the atmosphere. Your 'helper' is good Scrooge with a penchant of animating objects. Cutscenes and voice over are great. You will collect 34 cute penguins in this game, hidden as morphing objects. Some are difficult to spot, as they blend really well with the background. I have trouble with the skater boy puzzle on Chapter 5, I think many people experience this too. I had my game solved the first time, but the second time I tried it is very difficult. You might want to consult the forum blog in this website for tips. Map is readily available, and can transport you to places where you want to go. Extras are as the usual variety but the bonus chapter is one of the most interesting story ever given for a CE. I love the cute cats! even if you don't play this in Christmas time (like I do), this still makes a very enjoyable game time. Play in summer and you will feel cool at once with the very snowy feel and scenes abundant and everywhere in this game. Rated 5 out of 5 by Amijane from The CE is a must buy! What can I say! This is not only the best X-mas game ever it is also "the" game for catlovers-you must get the CE like with the Nutcracker the bonus game is for cat lovers only! Fair enough, I have one and only one thing I don't like: Santa Claus/Cat NEVER came to a British child EVER....they have Father Christmas and the American voice overs make you a bit weary sometimes...but since the game is so wonderful-who actually cares! This is the game for the whole family at X-mas time! Buy it, enjoy it and share the X-mas spirit with all your friends! Me, I'll just dream on where I can get a whole game with British voices...lol...top of my wishing list! Rated 5 out of 5 by mikado1 from Excellent! I loved this game as I love all the other games from Elephant Games. It has everything and I was so sad when the game was over. I just wait for the next game to arrive and hope it will be soon . Rated 5 out of 5 by Agnes_2810 from The best bonus chapter ever! (Based on finished game and bonus chapter, written by a non-native) About the main game: You can try the demo, you can read the other rewievs. It's the usual, very good Elephant-quality. It was very "christmassly": a lot of snow, Christmas-decorations, the music... I really enjoyed it. And I found it good, that the story wasn't the original Dickens-story. Sorry, but I don't like Dickens, I never did. To me his stories are to cold, to cruel. So it was a nice game. The bonus chapter was special. *It was long and interesting. *It has nothing to do with the main game, it's a new investigation-story. We have to find Santa Cat. *It's fresh and original. It could be the main game! Thank you BFG and Elephant! Rated 5 out of 5 by Debidawn from Full of Holiday Spirit I played this during short spurts of downtime during the busy holiday season and really enjoyed the fun story and graphics, which added to, rather than took me away from, my holiday spirit. I especially liked the new spin on this classic story, and the addition of the cats throughout the game and the CE added game play. Rated 5 out of 5 by devilcat22 from So much fun with a good twist on an old tale This game is so beautiful to look at with such gorgeous graphics, lovely animation and fab scenery. A good twist on the old Dickens book with so much to do, figure out and lots of running around to make the time fly by. A real favourite of mine. Rated 5 out of 5 by Pepperpot3 from Best game yet Brilliant game for the Christmas period although might have less appeal in a summer heat wave ! I started it in mid December and completed it on New Year's Eve. Really good value with bonus games and some challenging puzzles but I found having to sit through the intro each time rather annoying. Rated 5 out of 5 by Winnie100 from Great game for Christmas! I have played a lot of HOG's but this one really was fun and well done. The graphics were excellent, some of the mini-games were challenging and the storyline was a nice change from death and skulls etc. Rated 5 out of 5 by K_Mac8 from Completed review Great fun! Really a different HO than normal but it was a great game to play never got bored. Loved the puzzle they were different ones than before. It really brings the child back to you. Cannot wait to share it with my grandchildren next Christmas. Good Luck Fishes!!! Rated 5 out of 5 by carb7250 from Good Fun game. Not overly challenging but still fun with nice scene design. Rated 5 out of 5 by spikescajunmom from Another great Christmas Stories Pretty much everyone has covered everything great about Christmas Stories. I really enjoyed the 2012 version (perhaps a little more than this one), but this one was also fantastic. Great storyline, good puzzles and HOPs, beautiful graphics, good holiday music, et cetera. Puts you in the holiday mood! Rated 5 out of 5 by toby6336 from Fun and Games! I love this game. I purchased the CE. I played it and had to buy it! It has a lot of back and forth, but you have a map. You have different levels to play. The lowest level the children would do OK. It is a nice challenge for an adult at the highest level. Hope to see more like this!! 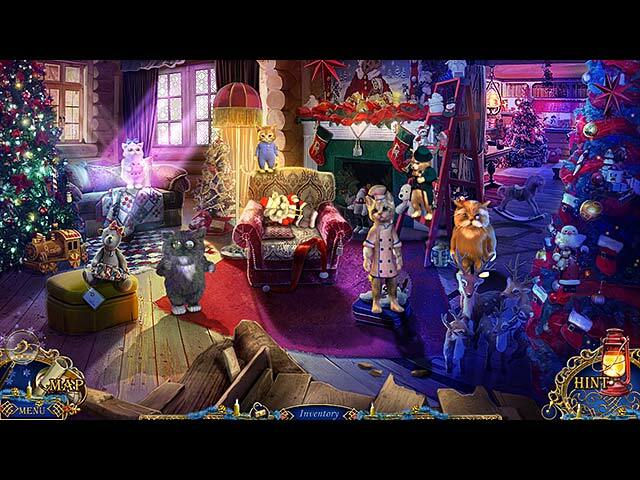 Rated 5 out of 5 by jaxson23 from Fun Hidden Object game Good game. I am enjoying playing it. Very Christmassy!!! Rated 5 out of 5 by Gerean222 from FANSTASTIC GAME I have been teaching my 80 year old mother to use the computer for the first time in her life. We have been learning via computer games. This was her favorite game of 20 HOG games she's played so far. She loved the music, the animation, the characters and the challenges. The makers of this game are incredibly talented and I hope that they continue to produce MORE games geared toward the whole family (less evil ~ more fun). Rated 5 out of 5 by Snowanother from CHALLENGING!! This is an awesome game! Not much more to be said. Although I played the game in the hardest level, I really had a great time. I got stuck many times and had to use the strategy guide, but I used it in place of the hint button as in this level there are no hints, no skips, no sparkling areas of possible activity and the cursor doesn't even change on pick-able items or possible activities. This aside, the mini-games are also very challenging and most importantly very different. The most challenging one being the train mini-game as even with the strategy guide open i did not understand what I was supposed to do and had to solve it based on pure luck... It took some time LOL! The Hogs are fairly difficult with some unexpected items in unexpected places but they were mostly solvable and clear. What I enjoyed the most is the length of the game. Not too short but not too long either. Just enough! The story is entertaining and engaging with some surprising twists. But, I couldn't shake the feeling that they were messing with a classic masterpiece... So it felt a little awkward to bring the good in Mr. scrooge in the way the game implied! All in all, A Christmas Carol is a solid game with very bright scenery and an eye for detail that can be really fun and challenging. The only downside to it was discovered after I've finished the game: You can't replay it without losing your collectibles and achievements. In other words, If you want to collect all collectibles and achievements, you have to get them in a single walkthrough which is difficult to do. Oh!! And the bonus chapter is real fun too!!!! Rated 5 out of 5 by Bun49 from Fabulous Just as good as the one last year! Rated 5 out of 5 by agurney76 from Christmas and cats!?! Yes, please! Another Elephant Games great! Just played a few minutes but I loved it. Can't wait to see what kind of little creatures I can use to do special actions. Hopefully it is the cat on the main picture because I am a crazy cat lady! Haha I really like these games because there is so much to do. Love the Christmas Carol story line. Rated 5 out of 5 by mariannpitz from Fantastic Great storyline and I just could not stop playing. it was really enjoyable and fun game! Great for the season too. Brilliant. Rated 5 out of 5 by dollyflower from Beautiful Game This game ranks right up there with the "Nutcracker" by the same developer last year. The artwork is gorgeous. The musice is beautiful and soothing. Challenge is just hard enough to make it interesting. I can't say enough good about this fantastic game and no, I do not work for the developer. Rated 5 out of 5 by lvbrule from WORTH IT! I'm glad I decided on the CE from reviews. This is a fun twist on the original tale of Scrooge. Graphics beautiful. Voice overs and music enjoyable. HOS may be a bit challenging for those w/vision of small items at times. Puzzles were challenging and different enough to be really fun. I was pleasantly surprised at the length of the game. I'm doing the bonus now and it has its own story. I love it! Hints fill fast. 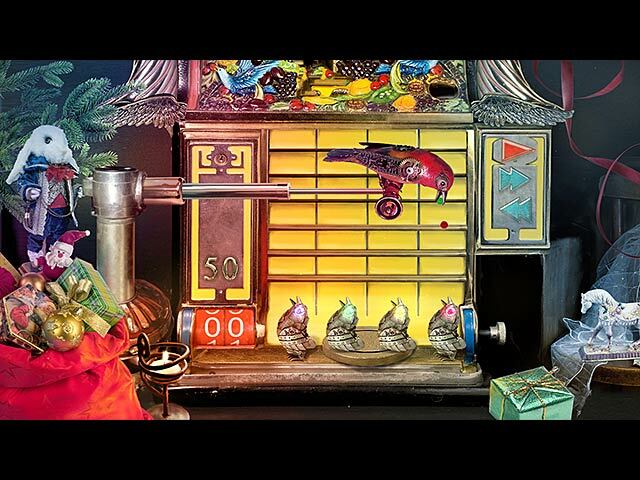 This game and the Nutcracker by this developer are a wonderful fun way to fill some hours at this busy time of year! Rated 5 out of 5 by stonewall from Holiday Must Have I am totally in love with this game!!! It is absolutely amazing. The graphics are fantastic. The storyline is just the right one to empower you to make a difference during the Holiday season and throughout the whole year. I laughed with delight. It brought back childhood. The music was lovely. Thank you for a wonderful experience. Rated 5 out of 5 by Kathypt from Loving it I have had a great time playing this game. It is fun and has put me in the mood for Christmas. Love the morphing penguins, that have intrigued me as much as the game. Also playing it on lowest level with my 5 year old grandson who also loves it. Happy Christmas all.